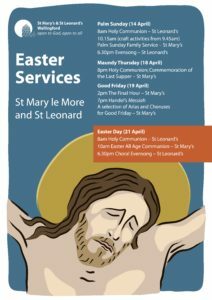 In addition to our normal Sunday services, we have two additional services at St Mary’s during Holy Week: a special Holy Communion at 8pm on Maundy Thursday to commemorate the Last Supper and on Good Friday at 2pm ‘The Final Hour’, an opportunity through words and music to reflect on the great love which God has shown to us. Also, on Good Friday in St Mary’s at 7pm, the choir will be singing a selection of arias and choruses from Handel’s Messiah. Gaby Clements will be accompanying the choir, directed by Judith Ward . All are welcome and, as it is an act of worship, no tickets are required. 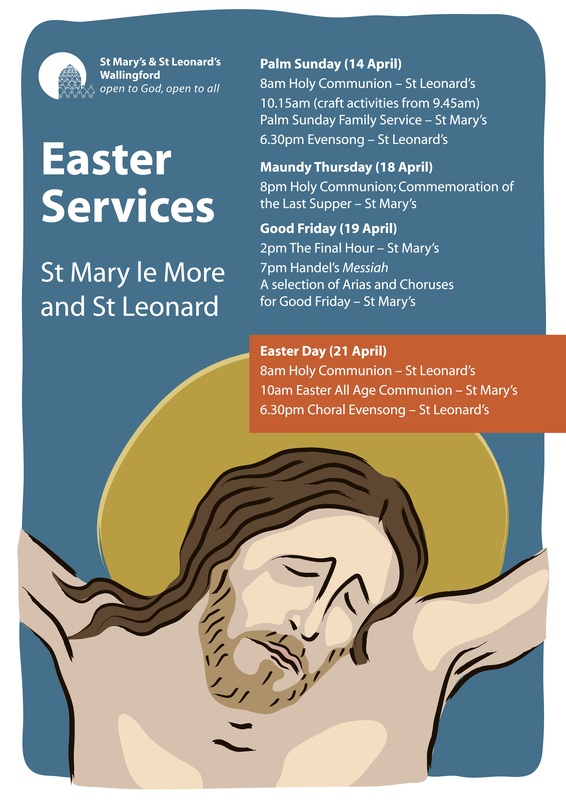 Easter Sunday will close with Choral Evensong at St Leonard’s. All donations throughout Easter will be given to the ‘Children on the Edge’. This charity works to help some of the most vulnerable children worldwide, those out of the media spotlight who are living on the edge of their societies.